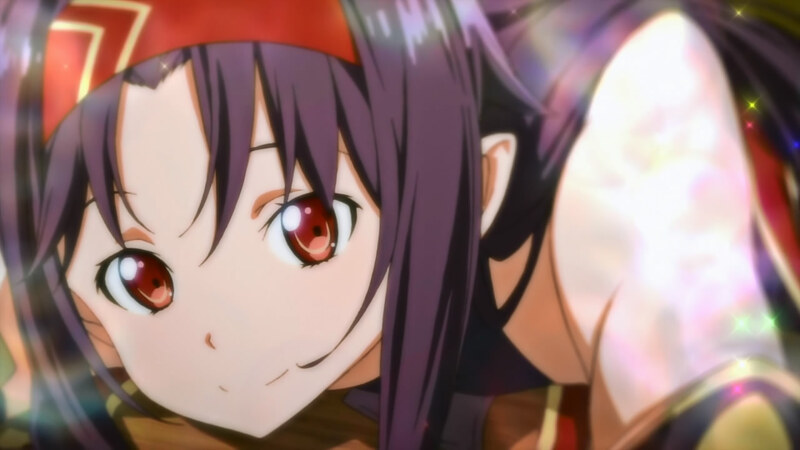 They have officially built up the hype for Zekken here. Any time that you say the Kirito can’t win there is something over the top about that person. 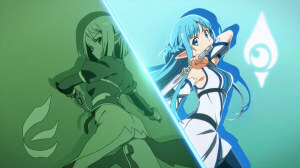 Somehow I think Asuna should win that fight or force the sword skill, but not sure why. Anyways it will be interesting to see how that showdown turns out. The whole last part of the episode seemed to exist just to build up this opponent. 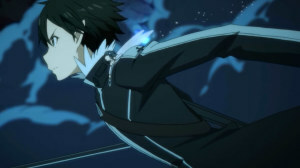 I tend to agree though that we’ll never see Kirito fight seriously unless the situation demands it. Not for a regular boss fight or a duel at least. After that trauma of SAO and the situations in the games that followed it’s just not going to happen. You can’t engage in life or death fights for all that time and suddenly flip a switch when it’s just not as serious. The stakes will have to be real for him to fight like that. Which I’m sure will happen as situations force his hand, but not for a fight like the one with Zekken. Does make you wonder though what they talked about and if Kirito either threw the fight at that point or that person was so affected by what he said that they stepped their game up to a more serious level? This episode and whole feel seems 100% on Asuna which was expected. This is going to be her chance to grow as a character and maybe build up some fan support. Really Asuna seems to take a lot of hits in the SAO viewership. I wouldn’t say she’s the character I like the most, but I don’t hate her either. I just sometimes feel a bit ambivalent about her. She is the official wife character here. She won that fight way back in the first story. But it’s not like she doesn’t have personality, it just depends how you feel about that personality. 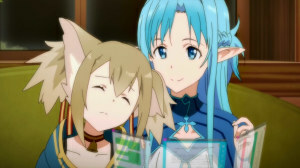 In some ways Asuna may just be really handicapped. You want people to get behind someone who is the main girl in a harem and is rich. That second one might be even harder on her since I rarely feel sorry for the wealthy. They may have social pressures and such, but at least they don’t have the same worries as those without a lot of money. 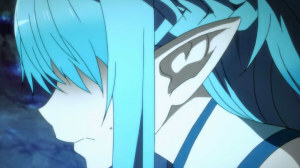 But at least they made a good effort here to show Asuna’s situation. It’s a tough spot really. 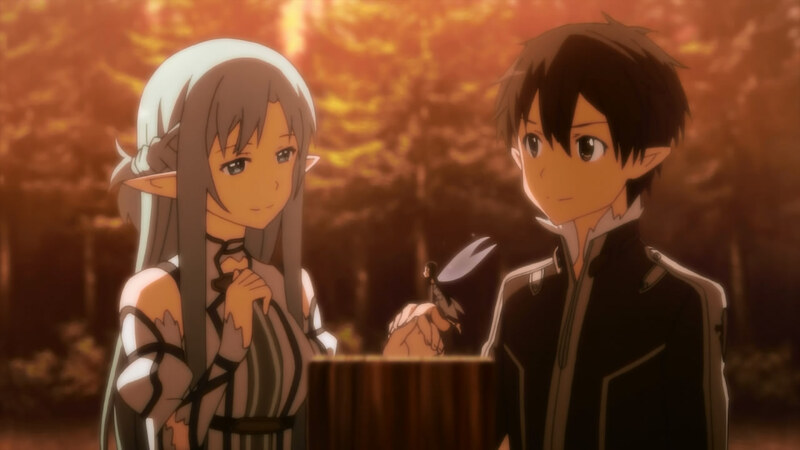 Obviously she’s in love with Kirito and wouldn’t think about being with anyone else. But the snotty rich people she’s dealing with probably don’t get it. 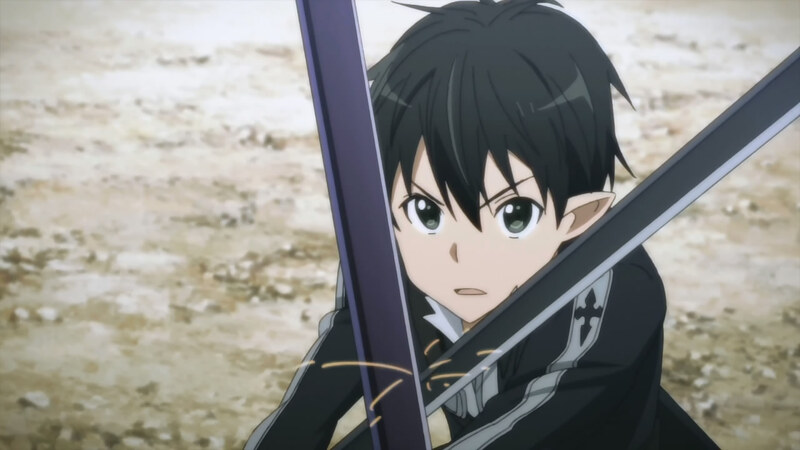 Especially since so little of what happened in SAO was kept under wraps, otherwise Kirito would be a national hero. So she’s got to struggle against social pressures to be with the only person she could imagine being with. I’d hope at least her father would clue in. She was in a war like situation, that kind of emotional bond isn’t going to be broken by financial pressure. On a side note, I do wish that the author for SAO wouldn’t fall prey to writing such stereotypical villains. 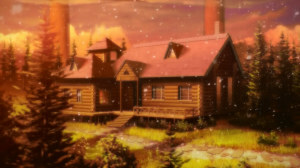 Couldn’t those rich guys going after Asuna just be good people? Did they have to look like jerks? 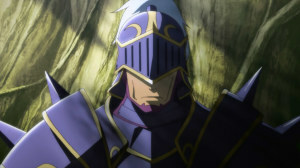 A guy in this series is either not a threat to the harem (Agil), a member of the harem (Klein), or evil (everyone else). Anyways, some nice moments here and there. It kept the focus on Asuna and Kirito and showed how much that relationship means to Asuna. Kirito and Yui are her family and there is no doubt about it. Going to get their matrimonial home just reflected that. No one can deny that couple and how strong the connection is there. Can imagine they’ll spend a lot of their dates in their home now. The mystery surrounding Zekken is a strong point in the episode though. 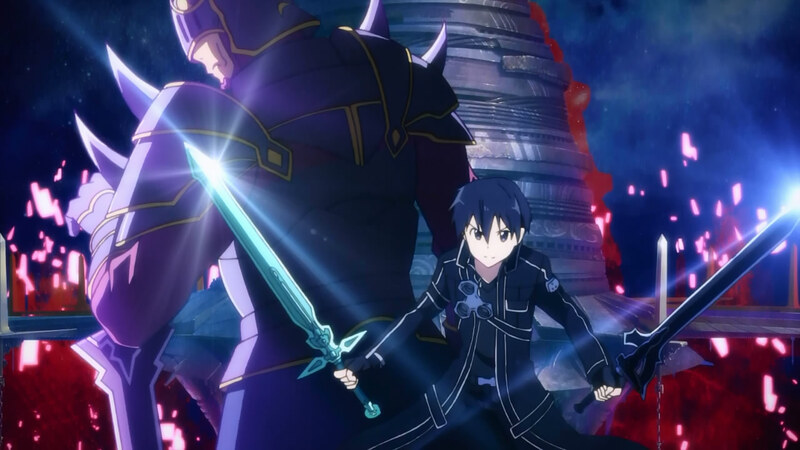 Kind of a bold proclamation from Kirito both on the dual wield skill and that this person wasn’t in SAO. I think he’s just overstating things a little. 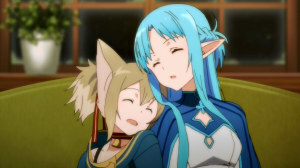 For all we know this person build themselves up slowly in SAO and only got to this level later on. Kirito did slow down his game style once he built up this harem and had to spend time leveling the lower members up XD. But I think we can assume they came from some kind of game though which I’m not sure. 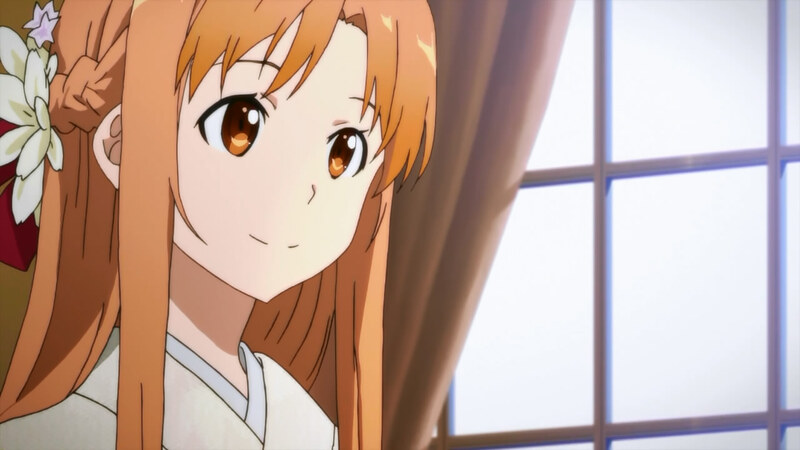 Another focus was a reminder that yeah Asuna is a top player in ALO here. 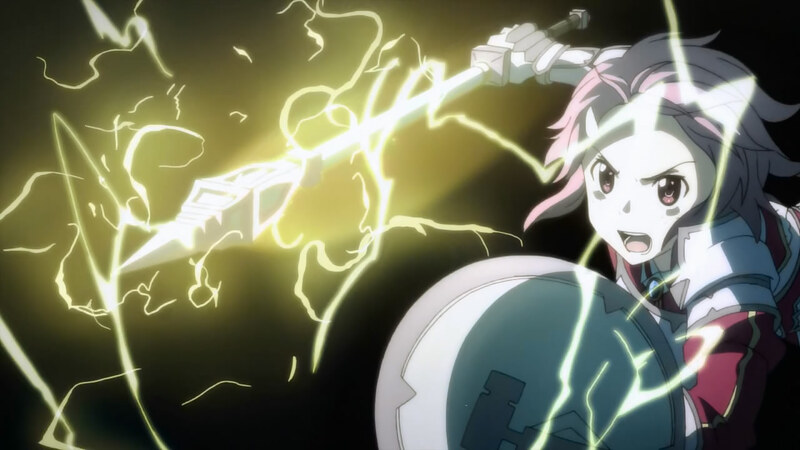 She was the second in command of the most powerful guild in SAO. She had a lot of power and respect from the people fighting beside her. Kirito stood out as a powerful solo player, but Asuna was no pushover. 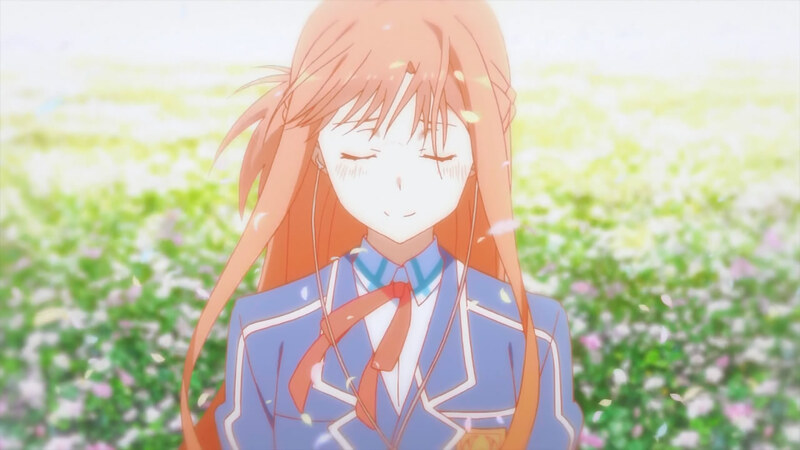 I think they had her abandon healing to jump into the action just to say “yeah, she’s a big deal.” I think this arc will be good just to see Asuna take some prominence again. I’m a bit sad we got no new OP to match the ED here. It’s going to be weird having this divide in focus. The ED is clearly saying this arc is 100% Asuna. 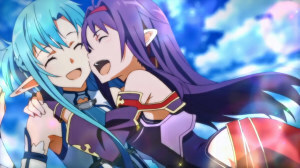 Well Asuna and the character I presume is Zekken. I’m sure we’ll get the “wha! 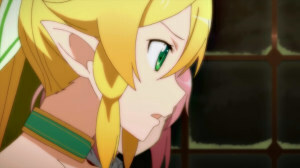 ?” reaction from Asuna next episode when she meets this person expecting some huge old warrior. If this person didn’t look like a girl (presuming not a trap…again) I’d say someone was trying to steal Asuna from the harem. It’s a cute song and overall it has a nice tone. Definitely get the feeling this arc will be pretty impactful. A good start to the arc. 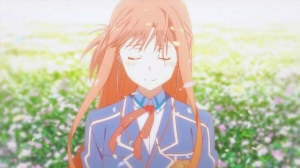 It was almost a re-introduction for Asuna and I’m glad for that. I think this will be a good chance to really enjoy her character. 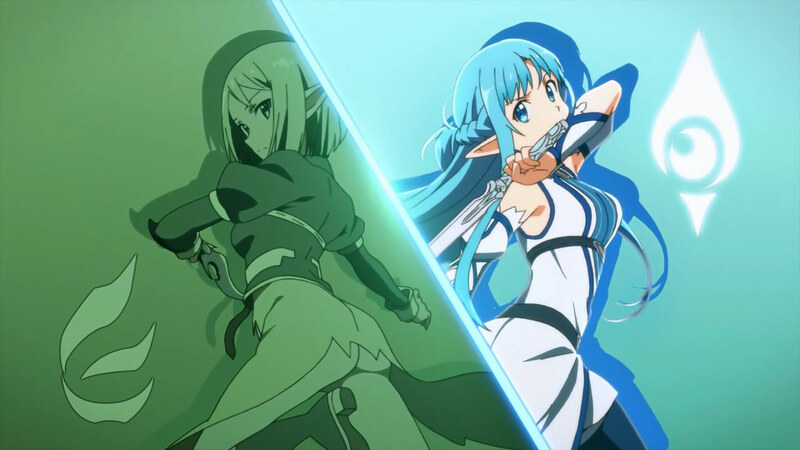 Should be a fun showdown next week and a chance to see what Asuna can do.